Most people couldn’t fathom the idea trading Bahamian sunshine for a Canadian winter, but that’s precisely what Geoffrey Campbell has done. “Oakleigh is a family company, and that’s where my passion is,” said Campbell, who serves as Managing Partner of the real estate investment, development and management company. After three years of building resorts in the Bahamas, Campbell is back in the GTA for the launch of Matchedash Lofts, an industrial-inspired mid-rise in the heart of Orillia. The residential project is the first of its kind for Oakleigh and Orillia’s historic downtown. 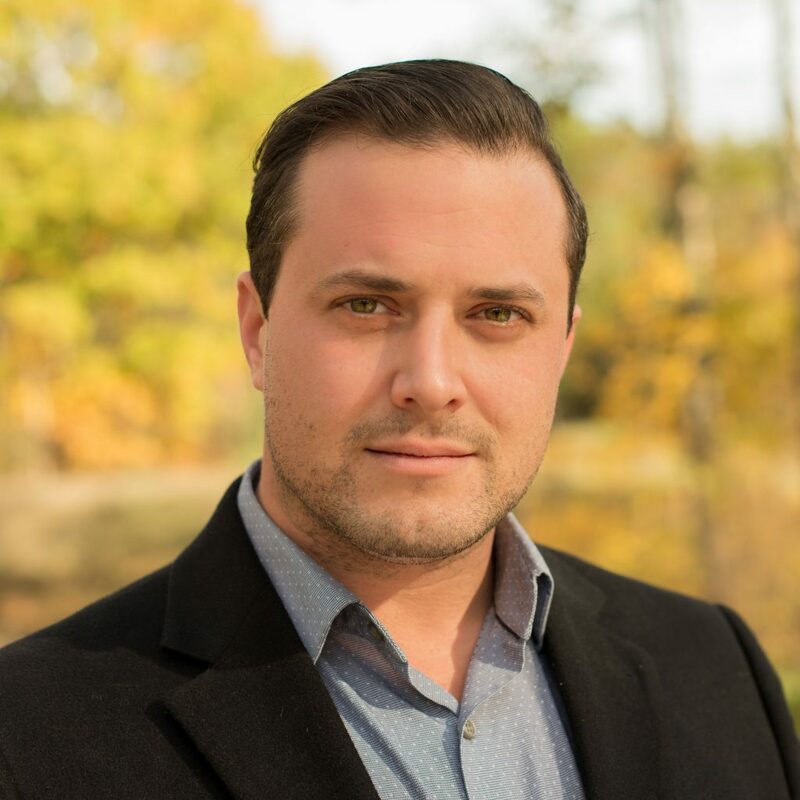 BuzzBuzzHome caught up with Campbell recently to talk about Matchedash Lofts, the charming atmosphere of Orillia and what it’s like to be a Millennial in an industry dominated by Baby Boomers. BuzzBuzzHome: This is your first development project under Oakleigh, but you’ve actually worked in construction project management for many years. What inspired you to make a career leap? Geoffrey Campbell: My mother is an architect, so we grew up in the construction industry from a very young age. She actually had us build our family cottage — I started when I was 13. I started Oakleigh while I was in school for construction engineering at 21. I began building custom cottages up in Muskoka, and was commuting to and from [Toronto]. I left that to focus on doing high-rise and bigger projects. I worked with PCL on Pearson Airport, I ran CBRE’s government projects at Queen’s Park, and then I went out west to do high-rise towers. I recently came back from three years in the Caribbean building resorts. I worked for an investment bank and I was the head of their equities division, so I did the acquisitions and developments for resorts, condo projects, etc. throughout the Caribbean. I came back to Ontario because Oakleigh is a family company and that’s where my passion is. BBH: Could you tell us a bit more about your background? GC: My dad has always been a weekend warrior, he loves spending his weekends doing construction, and he taught us most of what we knew. I grew up in Aurora, just north of Toronto. When I went off to university, I started in architecture at Dalhousie, but I decided that it was too much in the theoretical — I needed more of the nuts and bolts of how to actually take something drawn on paper and turn it into a real building. So I went to Fanshawe College in London, Ontario for construction engineering. I graduated from that, and then I went to the University of British Columbia for urban land economics, and then to Harvard for real estate development. There are so many different facets [of development], so you have to be a bit of a generalist in every aspect. BBH: We heard that it was actually your dad who discovered the site of Matchedash Lofts — could you tell us the story? GC: Generally, whenever my mother [Joanne Campbell] is at meetings, my father will grab a coffee and go for a stroll. Fortunately, she had a meeting with an engineer in downtown Orillia, and my father found the site while walking around with a cup of coffee. Being a Baby Boomer himself, he’s very in tune with what it is he’s looking for, and what his friends are looking for. As a result, it’s almost like having a customer go out and do the research for you. 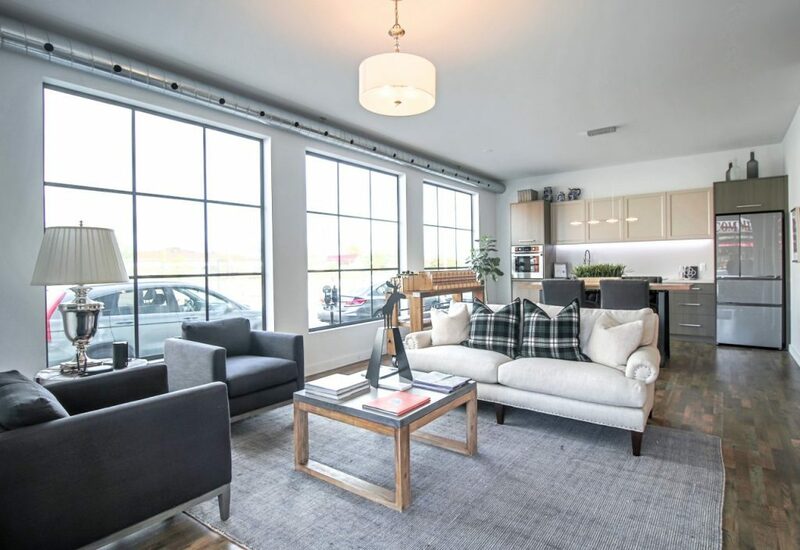 With Matchedash Lofts being in the centre of downtown, it’s steps to restaurants, grocery stores, cafes, markets and there’s a waterfront park two blocks away that has 29 kilometres of bike trails. The city itself is quite progressive, the council is investing heavily in the waterfront area. Orillia’s Downtown Tomorrow Plan was actually the biggest draw for us, short of seeing the property. In many Ontario cities, development has happened very quickly, somewhat uncontrolled, and as a result, those areas have sort of lost their identity. Aurora, where I grew up, was at one time a heritage Ontario town and now it’s unrecognizable. It’s just plaza after plaza, whereas Orillia is filled with original heritage assets, from the Museum of Art and History to the Opera House that’s two blocks west of Matchedash Lofts. There are concert venues, art galleries and cafes in the area, which creates a sort of Distillery District-eque feel. BBH: What’s the quality of life like in Orillia? GC: It’s a walkable community, and living at Matchedash Lofts, you’re next to everything. Most people don’t even realize that Orillia is actually a ski town. Horseshoe and Mount St. Louis are 15 and 20 minutes to the west, which is almost the same distance as Blue Mountain is from Collingwood. You’ve got access to skiing and the Trent-Severn Waterway, where you can boat all the way to the Thousand Islands or Georgian Bay. For outdoor enthusiasts, there’s tons to offer. Even on a local level, there are a ton of amenities, and even a golf course within walking distance. BBH: You mentioned that your mother is an architect, did she design the building? GC: Yes, at Oakleigh we call her the Chief Visionary Officer, or the CVO. She’s the design architect on the project, who deals with a lot of the aesthetics, the interior layouts, the materials, the look and feel of what we’re going for. The design was to look like two, century-old warehouses that were connected by glass so that it fit the character of the city. We had an opportunity to go taller, and economics would dictate that you should, but it just wasn’t the right thing for the town. We wanted to stick to the integrity of what’s right for Orillia. BBH: What has the reaction to the project been like? GC: The reaction from the public has been great. In three weeks, we’ve already sold 25 per cent of the pre-construction units and we’ve had 600 people come through the sale centre. This development is the first of its kind in downtown Orillia. There are a few condo buildings that are outside of town along the waterfront, and there are a lot in Barrie. Currently, most of the people in the condo market are actually living in Barrie and commuting to Orillia for work. When we had our zoning bylaw information night, where we had to present our proposal, we had over 250 people attend and not a single opposition, which the city thought was wild. They hadn’t seen a meeting that well attended or free of NIMBY’s. Everyone there was in support of it, and everyone in the town has been supportive of it. BBH: How does the design of Matchedash Lofts reflect the character of the downtown? GC: Downtown Orillia still maintains many of its heritage assets. There’s a charming old main street filled with shops, cafes and bakeries. It still has its industrial roots, too. Orillia at one time was booming thanks to the Tudhope manufacturing facility and the boat manufacturers near the waterfront. There are still a lot of those beautiful, brick and beam buildings. We wanted to make sure that Matchedash Lofts fit into that. 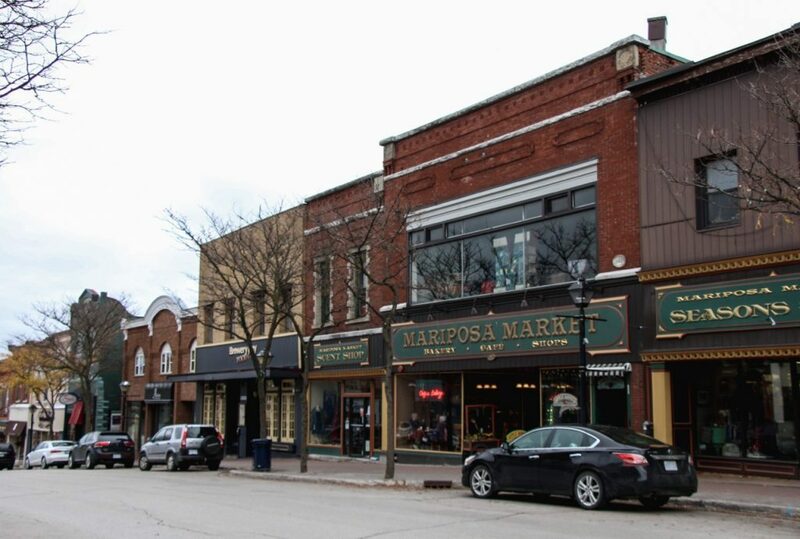 We decided on three storeys along Mississaga Street, where it joins the historic shopping district. The building then steps up to four storeys at the south end, and the fifth floor is stepped back again so that you can’t see it. When you walk down the street, it will feel like the building was always there — that is was a part of town. 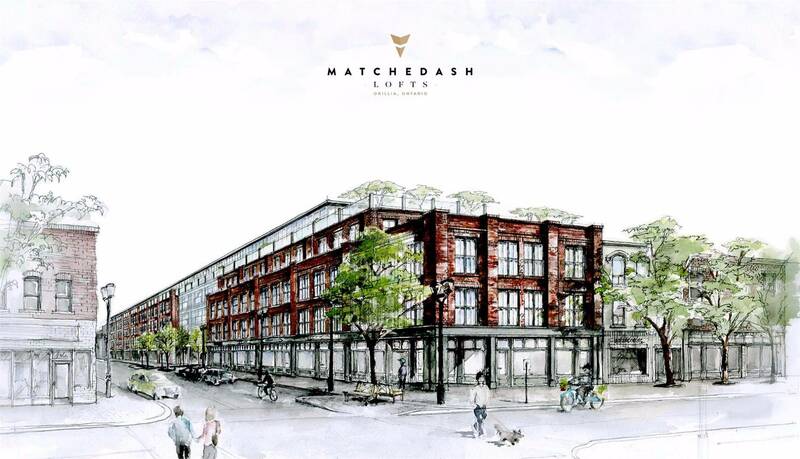 BBH: What types of layouts will be available at Matchedash Lofts? GC: Given the fact that we designed an industrial, heritage-looking building, you’d think that they would be fairly repetitive, but we’ve got a ton of layouts that we’ve fit into it, ranging from 632 square feet up to 2,200 square feet. We’ve got a number of one bedroom plus dens, but the dens are fully separate rooms that can be used as an office, a formal dining room, guest bedroom, etc. Many of the units have a full second bathroom, as opposed to a powder room. 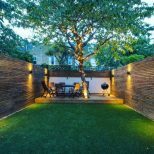 We have quite a mix in terms of the unit types, like lofts, balconies and garden terraces with 540 square foot outdoor spaces. On the top floor, the sunset view and lake view [units] both have private terraces that range from 270 to 400 square feet. With the live/work units, we noticed a demand from the Baby Boomer demographic. A lot of them are continuing to work into their retirement — maybe they’re leaving their job as a bank manager, and now they’re going to open up an art gallery. 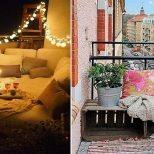 It caters to that, but also to commercial use for graphic designers, lawyers, accountants, architects, etc., who can live in their space and also open it up to the public by having their own door out to the street. BBH: Let’s talk about the interiors, are there any finishes or features in particular that stand out to you? GC: Our model suite is outfitted with the standard finishes. We have engineered laminate flooring, which is rough-sawn so it looks like that of an old, industrial loft. 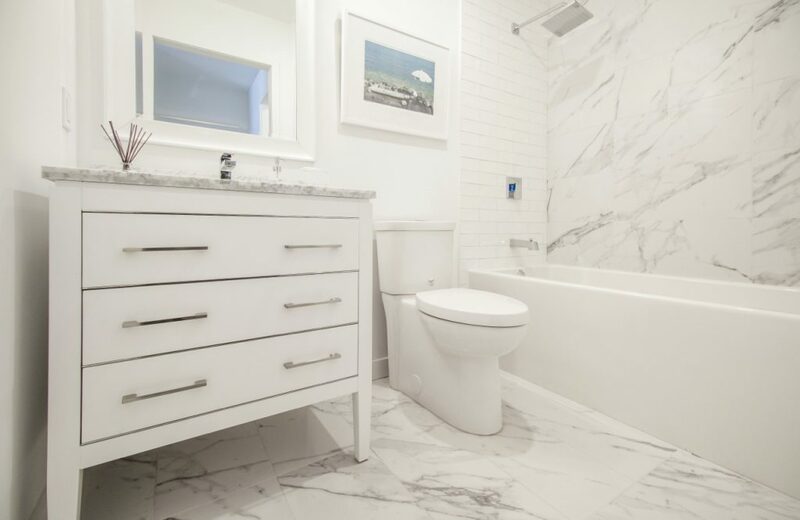 We have great vanities, 9’6” ceiling heights, and the kitchens are all made in Canada. In the building, we also have a bike storage room. Bikes are always a challenge in condos, so we’ve created a bike storage area where owners can ride their bike right in and lock them up securely. We want to encourage people to use their bikes during the summer months and use the nearby bike trails along the waterfront. BBH: What sustainable features will Matchedash Lofts include? GC: I was a LEED BD+C consultant, and so for us sustainable design means more than just green features. Quality of construction is incredibly important because ultimately that is what results in an energy efficient building. As for our definition of sustainability, I think that if you look at some other condo buildings, they become cold communities that have their back turned to the community around them. We’ve set this building up to be a quality building that’s going to stand the test of time. It will enhance the community and have a much longer lifespan. People are becoming more aware that condo fees are the death by a thousand cuts. The fees become very expensive over time, and you’re paying for amenities that you don’t need or don’t use. At Matchedash, we’ve chosen not to offer amenities. We have a rooftop terrace on the fifth floor that looks out over the lake and towards the sunset — it’s about 2,800 square feet. By not having those amenities that are typically offered in a condo, we are encouraging residents to get out into the community. Use the YMCA that’s up the street, or the new recreation facility that’s being built a few blocks to the south — get out and engage with downtown Orillia. You can enhance and contribute to the economy of the core there, and at the same time, not worry about high maintenance fees. We’re charging 35 cents per square foot for maintenance fees. That’s estimated by First Service Residential, the property manager. Instead of creating our own budget, we’ve actually hired the property managers to come in and do it themselves. BBH: What types of retailers are you hoping to attract for the street level commercial spaces? GC: We don’t know specifics yet, because the commercial element of the building is not what’s going to drive the construction. 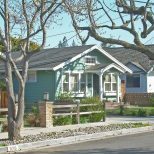 It’s residential sales that determine when we start. But we are in talks with a few major investment banks, law firms and a medical office. We’re looking for those types of tenants, as opposed to restaurants because there are already a number of them in the downtown core. By adding into that professional working base, it’s furthering the intensification, which is part of Orillia’s plan to put more people in the core. BBH: When do you expect the suites to be delivered? GC: The target occupancy date is fall of 2018. We’re looking to start [construction] in the spring, and it’ll take us five months to come out of the ground, with the foundation and underground garage. Then we can put up the floors, which will only take two weeks per floor because we’re going to panelize the building. BBH: At 31, you’re clearly younger than most developers in the GTA. What are the advantages of being a young person in the development world? GC: Other development companies have a tendency to not embrace new technologies. They do things the tried and true way — the way they’ve always done it. Whereas, being younger, I’m willing to look at those [technologies] and figure out how to move our construction methodologies into a more forward-thinking end product. We are learning from the mistakes of the industry’s past and building projects that will last longer into the future. Another advantage would be that my career up until now was intentional for development. I have studied in architecture, construction engineering and urban land economics. Even from a career experience standpoint, it was all about putting together the right set of experiences and skill sets for development. BBH: Could you tell us more about your experience serving on the board of advisors for Team Rubicon Canada? GC: Team Rubicon Canada is a non-profit organization that unites the skills and experiences of military veterans with first responders to rapidly deploy emergency response teams across Canada and around the world. TR Canada is new to the Team Rubicon Global family but has already been active in Fort McMurray following the fires with Operation Pay Dirt, and has supported TR Global with operations in Nepal, Haiti, Greece and the U.S. My role on the Board of Advisors is primarily as an advocate for the organization, working with corporate partners and building awareness. Not only is TR Canada providing valuable aid in the wake of disasters, but it is supporting veteran reintegration by giving a sense of purpose to the men and women that have served our country. BBH: What’s in store for Oakleigh in 2017? GC: We’re looking at and acquiring more property in the downtown core [of Orillia]. We’re trying to change the landscape of the downtown core by building multiple sites with different types of development. We’re looking at an institutional development, a medical centre development, and even things in the retail and restaurant world. In a similar fashion to what the Distillery District [in Toronto] did for its area, we’re able to work with the city and their Downtown Tomorrow Plan to bring vibrancy to the core with a coherent theme. We are also looking at other cities, but we haven’t found anything that comes close to Orillia, in terms of what they have to offer for amenities. The more time we spend up there, the more we’re all reconsidering relocating there. I’ve got friends who are down in Toronto, starting families, and they’re looking into moving to Orillia, where the kids walk to school and there’s access to the waterfront. It’s a beautiful community that’s close to Toronto and on the doorstep of Muskoka. It offers a quality of life that is rarely found elsewhere. 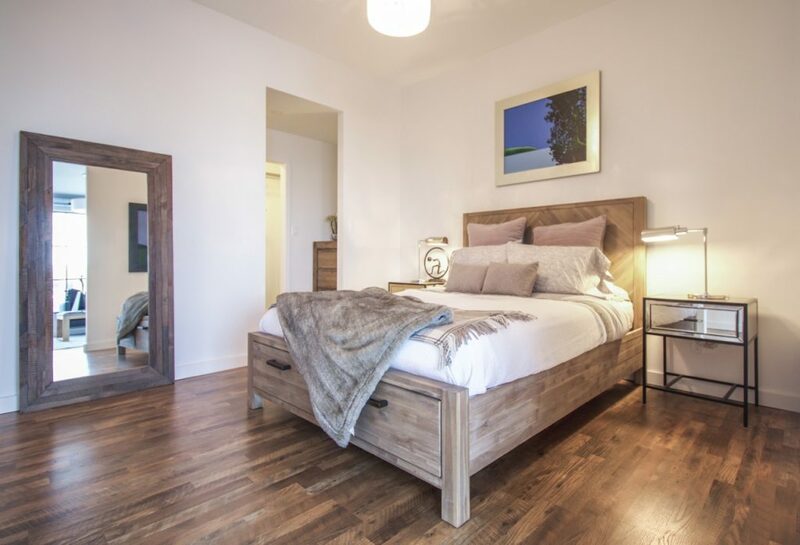 For more information, visit matchedashlofts.ca or email matchedash@oakleighdevelopments.ca.